While studying the development of smartphone apps there is always a perennial question, like is it better to begin with a web application, hybrid or native app development? According to your business purposes and long-run targets, this solution is defined as a step to promotion or deterioration of your business growth. When you decide to create your app as a website, native, or hybrid mobile app, it's important to identify all the aspects in this area. This article focuses on comparing web, hybrid and native apps, representing all the strong and weak points from the company's point of view. Web apps are stored in browsers. Do they have any distinction of a site? Usually sites are packed with material much more than apps due to usability prioritization. Nevertheless, web applications do not demand uploading from device stores. They can be reached through internet browsers, such as Chrome, Safari, or Firefox. Moreover, your device memory will be safe. We consider web applications just like a technology which breaks down the borders among web, native and hybrid mobile applications. Nowadays it’s almost impossible to detect the difference between web applications, hybrid mobile applications or native ones, especially when it comes to adaptive or responsive design. An app uploaded from the app store which seemes to be a native according to all signs, it appears to be a webview as a result (based on a native language again) including the URL to a web. The biggest part of the code is performed out of a native language. For someone it satisfies their needs, for others it’s the other form of a web application. Hence, web app is a website that feels native without the necessity of being downloaded. Progressive Web Applications are the mix of web apps and native ones. 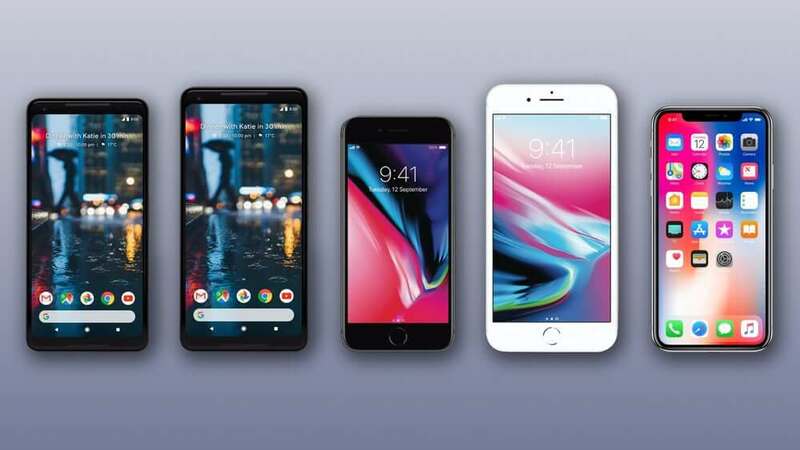 Despite the shortage of some specific features that are common to mobile apps like push messages, offline mode, web apps made a decent breakthrough toward the latest technologies. Ability to reach phone’s hardware. Though the biggest drawback still exists. Only Google Chrome users can enjoy their WPA. iOS owners can only patiently wait for such opportunity so far. Same codebase for all platforms as long as they use required technology. Inability to use all device capabilities. Let's find out what is a native app? The Native applications are the most popular kind of apps. 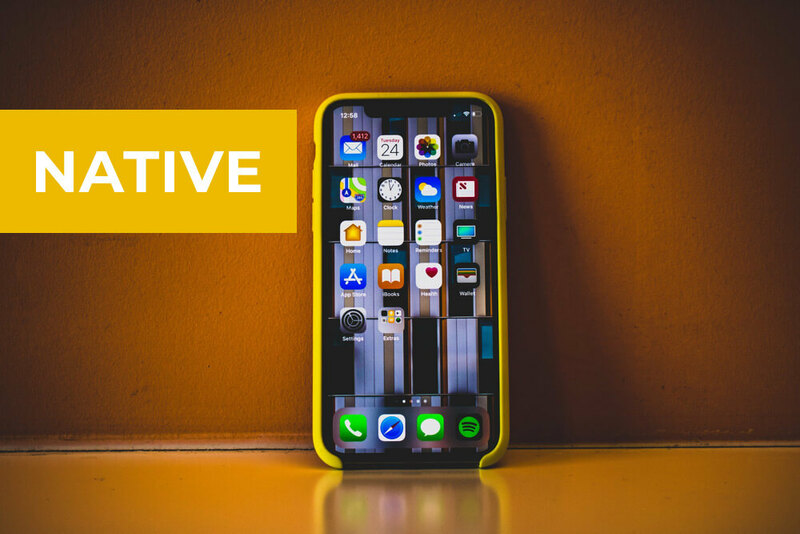 Each native application is developed for a particular operating system with a specific demanded language, for example, Swift and Objective-C are always for iPhone applications, Java or Kotlin would be for Android, etc. Also, Integrated Development Environment (IDE) will be needed to start developing a native app. Both of the companies monolithes Apple and Google give their own widget elements, SDK, and development tools. That's the main reason as well as many other advantages make product owners focus on building native apps. It performs much natural for user as it relies on specific UI standards for each system and platform. It is not the best solution to build a small app as Native one. 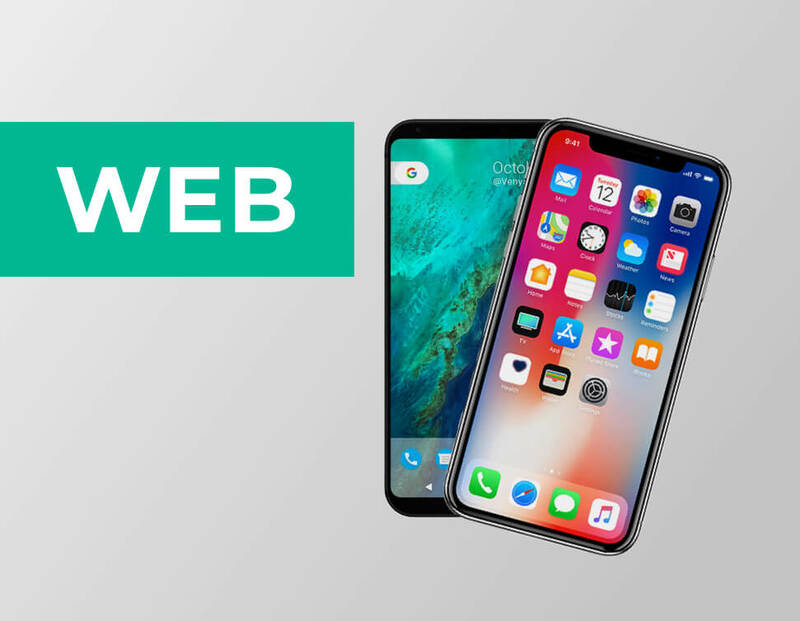 Nevertheless web apps aren’t able to get the access to device’s features; mobile apps have to be periodically updated from the stores to improve their effectiveness. In the same time web apps can be updated itself automatically. Moreover, native app development makes you able to get direct access to all native frameworks that are not available with other types of development. Despite the budget may be higher to build a native app, your result will be saving a lot of money and time in a long perspective. Also you can provide your users with a better performance and effectiveness of your app. By all means the mix of advantages of native apps leads to a higher level of positive feedbacks and users loyalty. Using native, as it was written above, you have to create an app for every operating system separately. So that new technologies were released – Xamarin and React Native. Xamarin was developed by Microsoft and it gives a possibility to build one program on C# which will work on many platforms. It is an open code language, so users may share code with each other and use all the content of C# code database. The term “native” may be explained as a system which is tailored to work on a particular platform. Xamarin or React Native technologies are quite crosscutting and could be also defined as hybrid. The reason is, for example, that Xamarin builds native apps for iPhone, Windows and Android apps in C#, and can be created either in Visual Studio or Xamarin Studio. Moreover, it creates hybrid mobile apps for various systems with the same C# codebase, development environment, language, and Application Programming Interfaces. Nevertheless, because of an additional level between code and the platform, it’s considered as hybrid. You have a single codebase so it is less time consuming to build. Customization will bring you more to a native model. Creating hybrid apps, you must deal with such problems as some particular features of both native and hybrid systems that make issues much more difficult to solve. The performance is a disadvantage as well because of loading in webview. The practice shows that hybrid app is not that user-friendly often as it is impossible to customize based on the platform. Another weak point is customization. Actually, the more customization you do, the more you approach to a native solution. 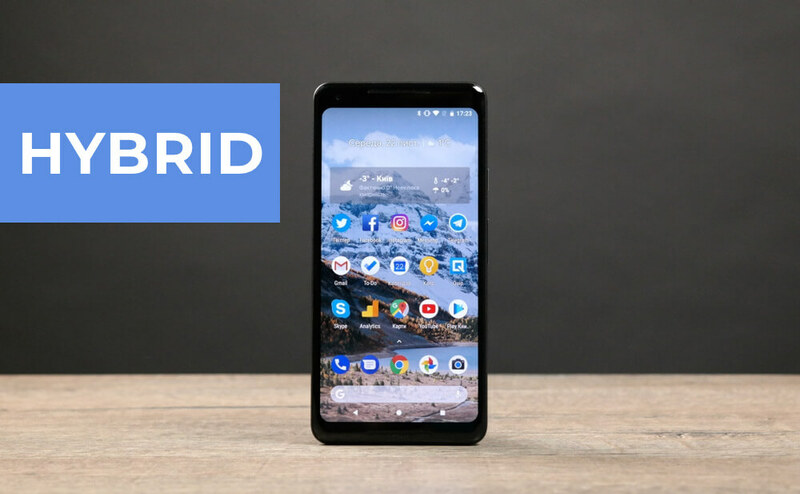 In addition, the more bringing to a native-look you do with your hybrid app, the more expensive it is, so the native solutions become more convenient to use. Otherwise, you will deposit more money and time to your app with the same result. It should be quick, responsive, and reliable independently of the option you choose. It is important to think about users' changing demands because they are getting more advanced regarding the mobile apps. Finally, it will require working with a seasoned team or agency whose speciality lies in UI/UX and development, and are able to offer you the most convenient solution. Native apps surpass others simply because they were created with both technical and UI/UX guidelines. Native apps are also able to get access to the device utilities. So it is usually recommended to build mobile apps in native way because it is best to work with it without any sacrifice on some elements that are unique for every platform. However, in case you want to release fast and with less budget then a web app may be your solution. The discussion on this topic remains relevant today because the borders between the three approaches are becoming less noticeable. While the discussion to differentiate them keeps on, it’s essential to remember that you should choose a solution not the technology, focus on what you want to do with your app. In case you choose a method that doesn’t provide it then it will require new investments and weeks of waiting when you meet a necessity to add some features. So, your choice between these approaches should be dependent on a number of issues, including business and app preconditions, developer’s professionalism, and deadline. The essence is that each type of app offers completely unique experience and it is vital to know the pros and cons of each beforehand. 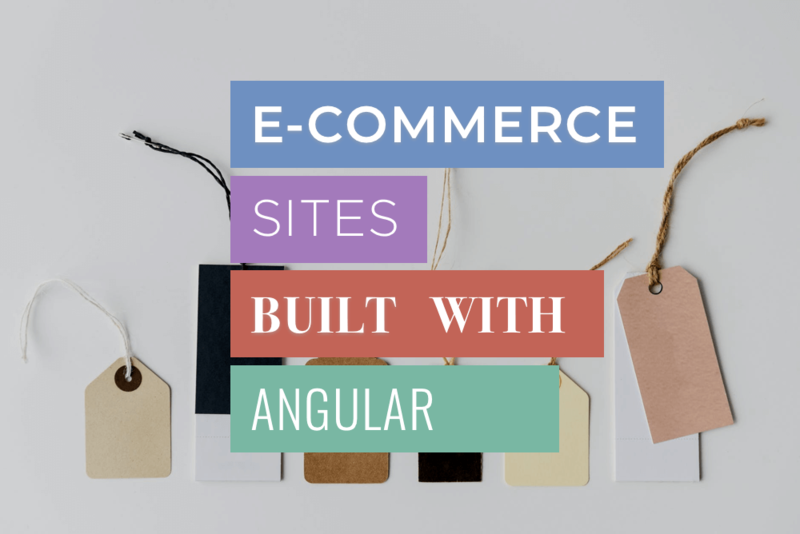 How does your e-commerce website can be work on Angular? It is easy with Angular Universal.